In need of a texture designer! Hello all you crafty texture creators! I am currently in the works of a mod for Minecraft 1.8, and am in need of an experienced, creative, unique texture designer for help on some graphics for my mod. If you are willing to work for free (but of course be mentioned in the mod credits upon release), please leave your Skype info so I can contact you. Updated with the current needed textures. Sadly, I don't have any money to spare to pay someone to do this. I could always create them myself, I am just not too good at it. This would be... what? Five textures and a GUI? That wouldn't take that long. If you can post some details about EXACTLY what you want I might consider this if I'm feeling like it some afternoon. The GUI I am not actually sure about I will probably just keep it the default minecraft style and such. So, I would like three Backpacks in 16x16 format. 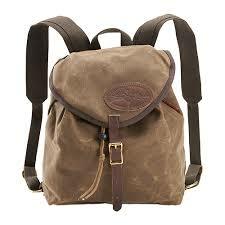 The "Small Backpack", would need to look like a Knapsack. 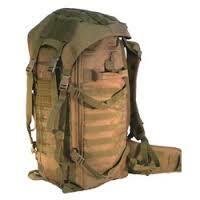 The "Medium Backpack" would need to look like a normal backpack (one you would take to school and such). 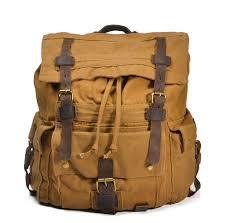 The "Large Backpack" I would like to look like a camping backpack. Cool. No idea when I'll get around to it. It'll kinda be an "if I feel like it" sorta thing since, well, that's what you get for the price of free. If anyone else wants to jump in and do this before I get to it, they're welcome to. If you can, thank you! I really appreciate your effort and interest though! That backpack looks great. I was actually looking to add models to the player, this could be very helpful. 32x32 is not an issue, I just prefer most textures in any of my mods to feel like they belong in vanilla. I do like the hipsack for the SmallBackpack, and will be most likely using that. Is it possible you could provide a Techne file? Alright, well next time, please do not promise something you can not provide when knowing that there would be no payment. Thank you. You showed pictures, you acted as if you had the models ready. I am not mad at you, just stunned by your need to make people think you can provide, then back out. My allegation isn't false. You knew there would be no payment, and you acted as if you would provide upon those circumstances. Next time, only reply to a thread if you CAN provide under the clearly written circumstances. Again, I am not bent over him deciding not to do it. I just prefer that when something is clearly written, you do not act as if you can complete the giving task, while knowing the provided conditions. I would say that statement should be a great deterrent for anyone whom is interested in doing anything for you. By your statement you're assuming that the person doing free work is then obliged to bring it to full completion. That is not the case. Volunteers are many but they choose what they want to do and can shrug at a nanosecond's notice. That's the whole thing about a voluntary service. Don't like it, don't ask for volunteers and seek out commissioned work from an artist. If you're trying to pay for something to be done then you might have a bit more leeway in the argument.